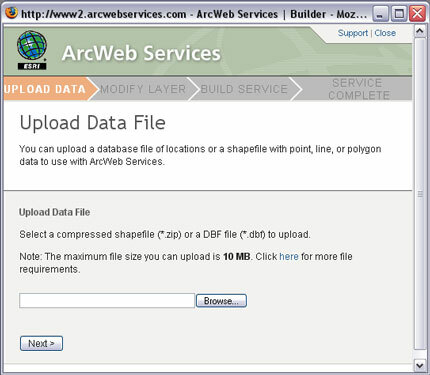 Boy, get back from the airport, fire up the old RSS Aggregator and I see ArcWeb 2006 is “final”. I’ll spare you a link to the press release even though there hasn’t much press on the GIS blogs. I’m sure it is because most people don’t get the power of ArcWeb 2006. Guess that will come in time when people begin to realize that they can let ESRI host their data for them rather than worry about an ArcIMS or ArcGIS Server implementation (but you can even use an ArcIMS server with AWS 2006 if you wish).